One of the website projects close to our hearts is the Lostwithiel Business Group website at www.lostwithiel.org.uk. We've been managing the website for over ten years, and we often use it as a proving ground for testing new technology or functionality - it gets a lot of visitors using a wide variety of devices, including a lot of mobile visitors. The website includes a section on walks and paths around the area, which used to use a combination of walk descriptions, screenshots and links to maps made with Google's My Maps. These worked okay, but they were limited because they required a lot of technical understanding to create, and so only a few people made them. I've been keen to replace them with something better for a while. Iteracy has a Free Range Friday policy, where we can work on anything that interests us on a Friday as long as there are no looming deadlines. We shamelessly stole the idea from the wonderful guys at Mutant Labs. Free Range Friday has led to some really innovative ideas, some of which were documented in my Lost In Thought blog or a map I created to monitor usage of the city-wide bike hire scheme Valenbisi, which I wrote about in a blog on open data. 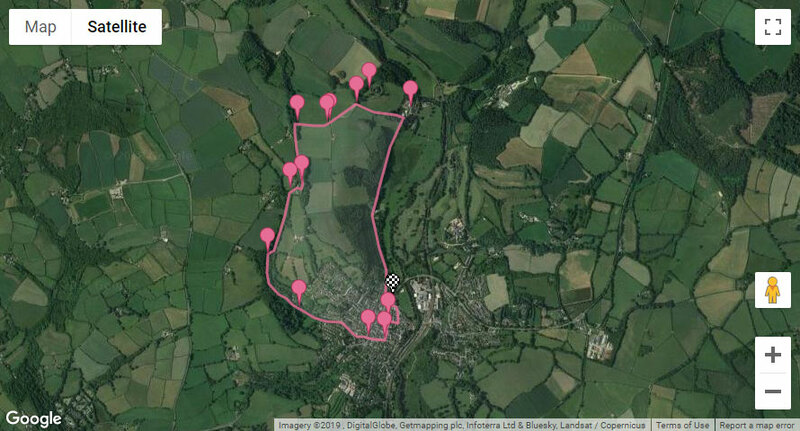 I've been using Free Range Fridays for a while to build functionality so that people using our content management system can create maps for the Lostwithiel site, which can be embedded on any page. It uses the excellent if rather complex Google Maps API Drawing Layer to drag and drop pins, lines and areas on a map with a few clicks. It also allows administrators to specify marker icons and set rich text captions including images and links. The best part of recreating the maps in this way is that on mobile devices the page will now display a blue dot showing the visitor's current location, so the maps can be used out in the field while doing the walk itself. This is ideal for me because I am terrible at navigating. I'm really proud of this, and we're planning to roll out the functionality to other websites soon. If you can see a potential use for it on your own website, get in touch to find out more.